Sign up for Broadjam today to follow Andy Johnson, and be notified when they upload new stuff or update their news! 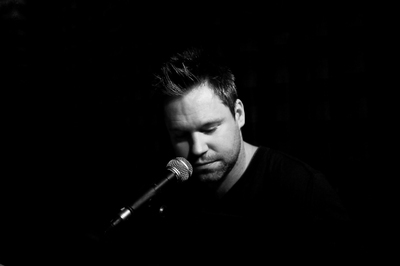 Andy Johnson's music has been described as uplifting, epic, powerful, soaring, and effortlessly beautiful. But don't take our word for it. Listen for yourself and make your own mind up. Multiple textures of strings, guitar lines, and piano riffs fight for room against the soaring vocal melodies and dense harmonies that float above the orchestral colours of the music. With a focus on spiritual and emotional struggles, humour and self-analysis are features of Andy's poignant and truthful lyrics. Cryptic at times yet always driven by melodies pure and true, the voice, the playing, the presence, the drama, the action, the beauty of Andy Johnson's music is ready to be received by a public that crave a realness and authenticity from their artists. Last year Andy entered 5 songs into the 2011 UK Songwriting Competition. 15,000 entries later from aspiring songwriters across the globe, four of Andy's songs reached the semi finals and one song reached the final. I am currently working on the Disney Magic Cruise Ship, performing 6 nights a week at their exclusive piano bar, "Sessions". It's going great at the moment and I get to perform original material as well playing my favorite songs from artists such as Elton John, Billy Joel, The Beatles, and Rat Pack Classics. So, Caribbean, Bahamas and Mexico for the next couple of months then it's back to the UK for my album release!! !